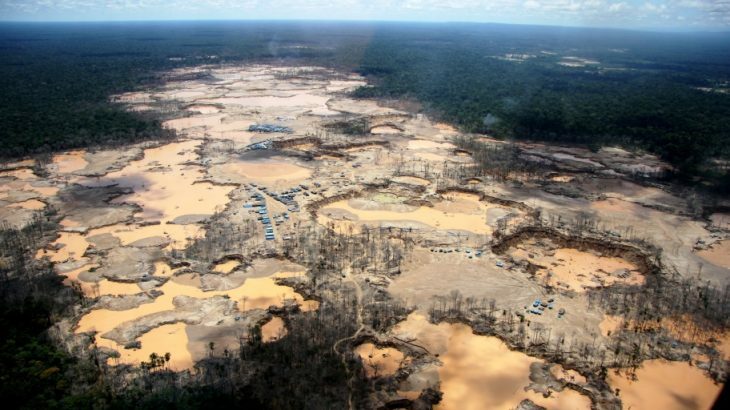 Scientists at Wake Forest University have found that more than 170,000 acres of primary rainforest in the Peruvian Amazon has been destroyed by small-scale gold mining. This is over 30 percent more deforestation than was previously realized. Luis Fernandez is the Executive Director of the Center for Amazonian Scientific Innovation (CINCIA) at Wake Forest. The scientists at CINCIA have developed a new data fusion method to identify areas destroyed by small-scale mining. Combining existing forest monitoring technology and Global Forest Change data sets on forest loss, the new deforestation detection tool is 20-25 percent more accurate than those used previously. Miles Silman is the associate director of Science for CINCIA and the director of Wake Forest’s Center for Energy, Environment, and Sustainability (CEES), who has researched biodiversity and ecology in the Western Amazon and Andes for more than 25 years. “Combining the two methods gives us really good information about the specific kind of deforestation we’re looking for,” said Silman. Artisanal-scale gold mining has been challenging to detect, yet the damage is extensive. Small crews of artisanal miners do not expect to hit it big, but they hope to collect the flakes of gold in rainforest. The process that is used to look for gold is environmentally catastrophic.